We all know we're supposed to exfoliate to encourage blood flow and to remove dead skin cells and product buildup. I exfoliate a couple times a week, especially my face. What's one thing I always forget needs exfoliating, too? My scalp! 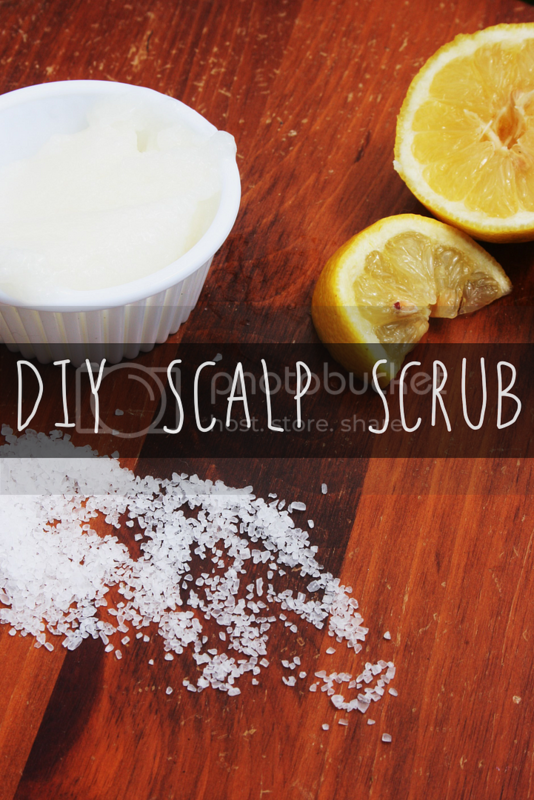 Here's an easy DIY scalp scrub that only has three ingredients! You'll only need three things: coconut oil, coarse salt, and a lemon. Easy peasy. I mixed about a half cup of coconut oil, 3-4 tablespoons of coarse salt, and the juice of one lemon together in a bowl with a lid. I crushed the salt a bit beforehand to make it easier to manage. Once it's all mixed together, here's a tip: I'd advise to do this in the shower or outside. It gets messy, especially if you have long hair. There was salt all over the place! 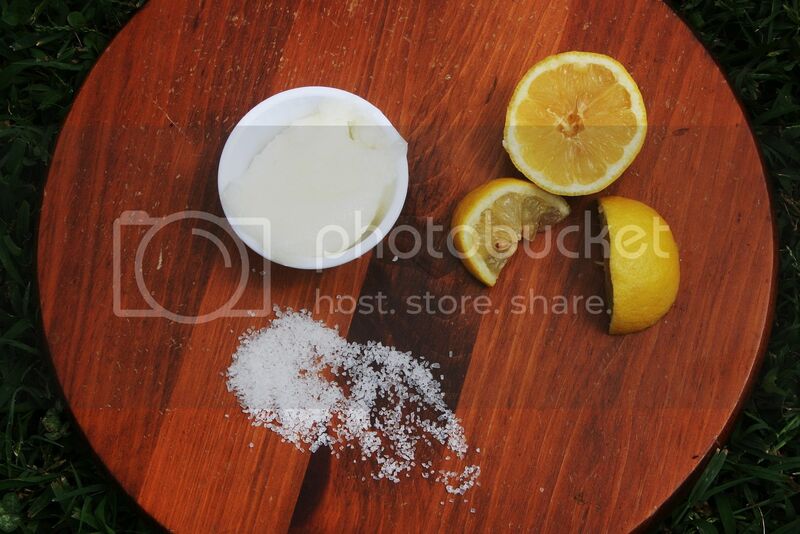 Dampen your hair, and just rub it into your scalp as you would a body scrub on your skin. Your scalp can be sensitive, so don't be too rough. I massaged it in for a few minutes, let it sit, then rinsed it out. You'll probably feel the coconut oil still in your hair, so if you want to let it moisturize for a while, leave it and shampoo later. Another plus to this scrub? It can be used as a body scrub! If you mix up a big batch you can do all of your exfoliating in one go. The recipe can easily be altered to fit your needs. Swap out salt for sugar, or add tea tree oil, essential oils, or swap out coconut oil for something else. Just don't eat it!